KEF KHT2005 HD1 review | What Hi-Fi? KEF was one of the first manufacturers properly to answer the growing clamour for fine-sounding speakers that will also grace a living room. Its KHT series have become iconic – and they remain ever popular. This is the latest incarnation, with familiar HTS2001.3 satellites alongside a new subwoofer. This is a competitive price class, not least with the Q Acoustics Q7000 recently rocking-up to the party and making a rather fine spectacle of itself. Still, competition hasn’t been a problem for KEF packages in the past. Certainly the new Kube-1.5 subwoofer is a good edition. 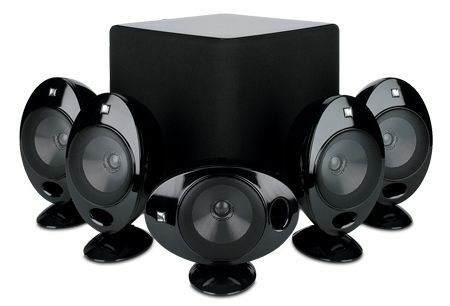 Similar in style to its predecessor the Kube-1, it produces a solid sound that relays deep notes with agility and speed. There’s power to stonking movie soundtracks and detail to music. The sub integrates nicely with the satellites too. That seamless integration continues throughout the system. The satellites, all immaculately styled and finished, and with adjustable stands, hand sound from front to back and side to side smoothly to produce a cohesive surround sound whole. The sound they produce remains detailed and musical, proving as capable with movies as with music. However, we found them slightly lacking in excitement last time we heard them and have to say this is arguably more the case now compared with the competition. When asked to really shake the sofa and force a grin on to our faces, the KEFs sound a little restrained, voices lacking openness and treble notes lacking bite. This package looks great – and still sounds good – but for all-out excitement and expression, it can be bettered.